Quality European manufacturing, offering an excellent compromise between price and performance. Steel construction with a powder coated paint finish for a longer life. Three position control lever; raise, lower and neutral is placed on the steering wheel to enable easy manoeuvrability. Tapered fork tips with nylon rollers to allow easy entry and exit of pallet. Fitted with ergonomically designed pulling handles. Reinforced roller driven forks and steel pulleys. 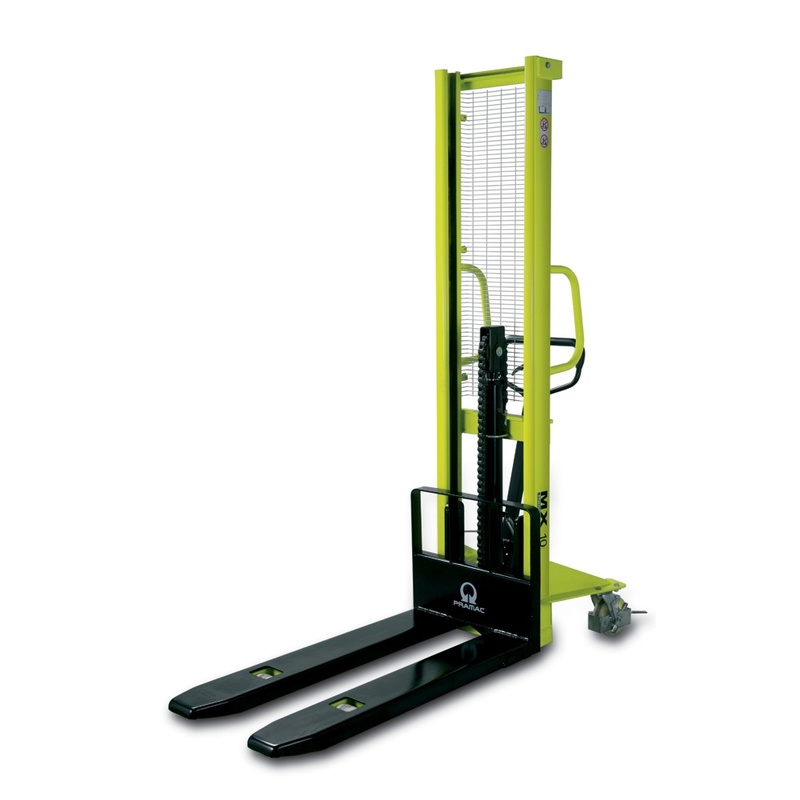 Equipped with a foot pedal to lift forks with ease which in turn reduces the userâ€™s efforts. Mounted on 2 Swivel150mm braked nylon castors with wheel guards and 2 single 80mm nylon rollers.